What does coworking look like in Brazil? Is it trendy, colourful, work spaces? Do they have pools? Yes. Yes they do. I work in a coworking space in London, and I’ve looked around a good few of the other coworking spaces we have here, and as far as I can tell, no pools. This is why Brazil is a growing economy. I have found the secret. It’s not because more than 22 million people have been raised out of extreme poverty in the last 2 years (as the government claims), and it’s not because the World Cup and the Olympics are coming. It’s because their colour coworking spaces have pools. 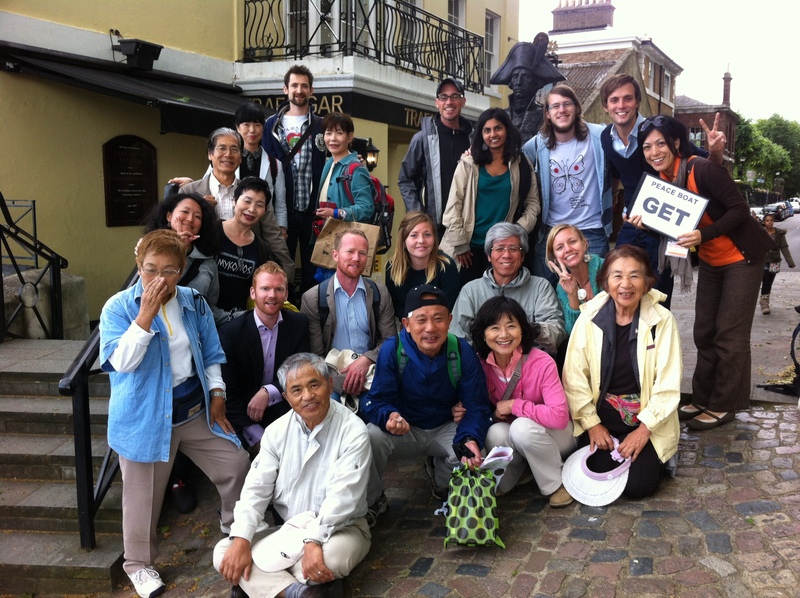 Last Friday, I spent the afternoon with a number of Japanese senior citizens who were visiting London on the Peace Boat. If you are thinking about that Greenpeace boat that attacks whaling ships, you’d be mistaken. However, if you are thinking about the Japanese NGO cruise ship that three times a year takes over 1000 mostly Japanese passengers around the world, stopping at over 20 countries on the way, with a mission to promote peace, sustainability and socially beneficial organizations, then you’d be correct. 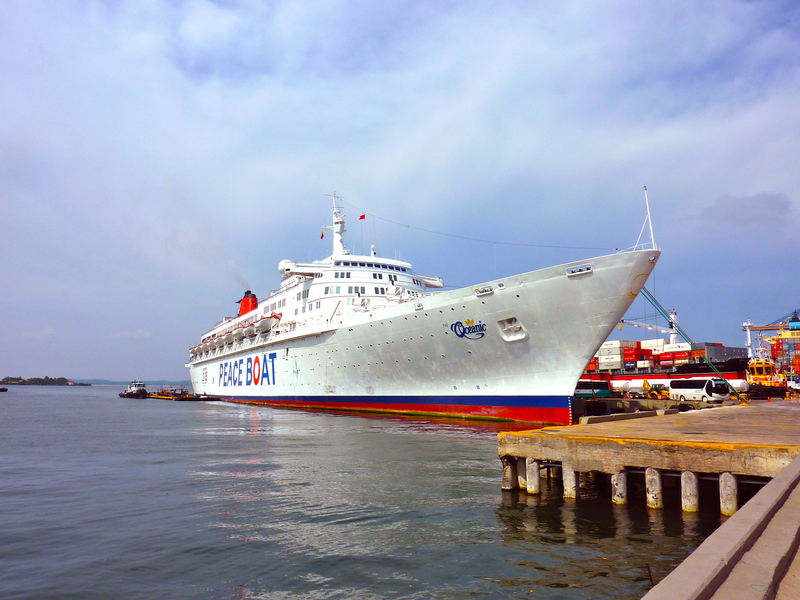 Last year, I spent three and a half months circumnavigating the globe on this boat. 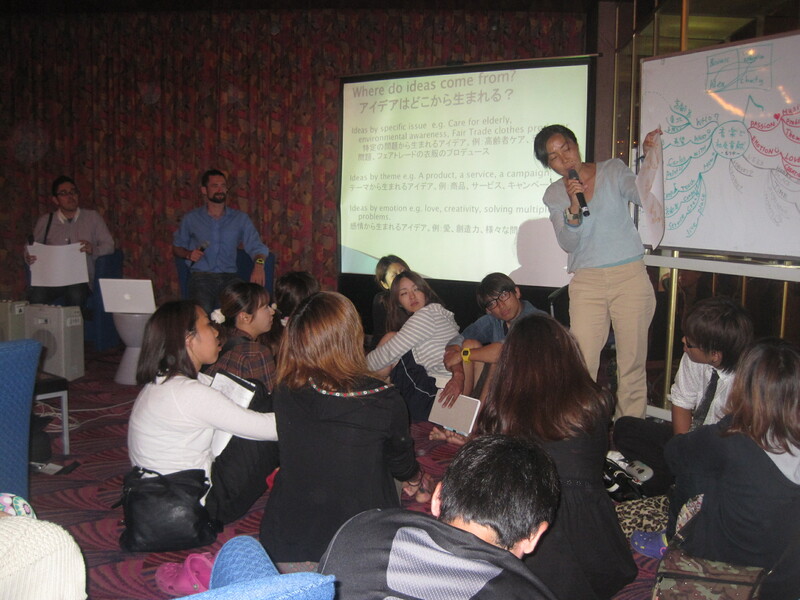 I was working on board as a Global English Teacher, and as a Guest Educator in social enterprise. Throughout the voyage, Guest Educators from different parts of the world are invited on board for anything from a few days to several months. They share their knowledge, answer questions, organise events and workshops, and in some cases, inspire the passengers to take action. Many of the passengers didn’t come on board for these lectures. They paid to come on board for the amazing experience of travelling around the world, (and asking people like me where they can buy Fortnum and Mason tea in London). However, it was fascinating to see how the talks and events offered, matched with the stimulating experience of world travel started to influence the passengers. 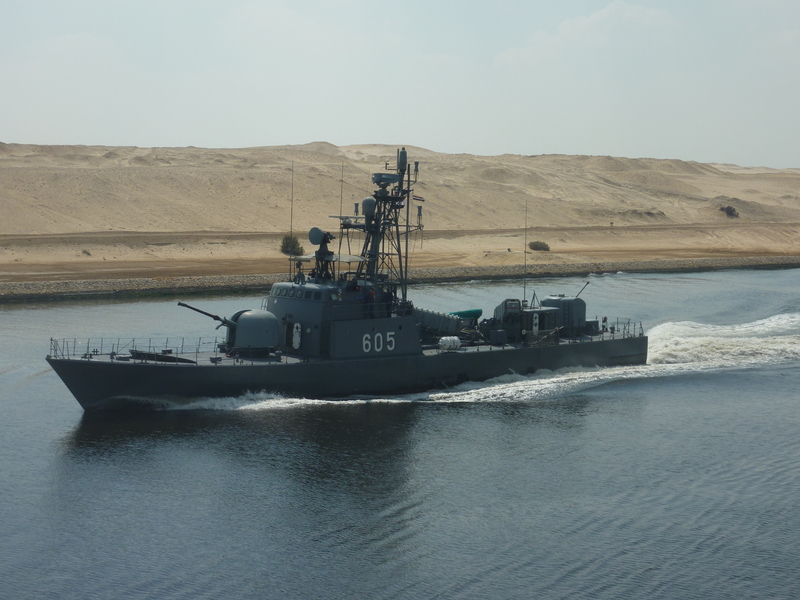 Take our trip down the Suez Canal. 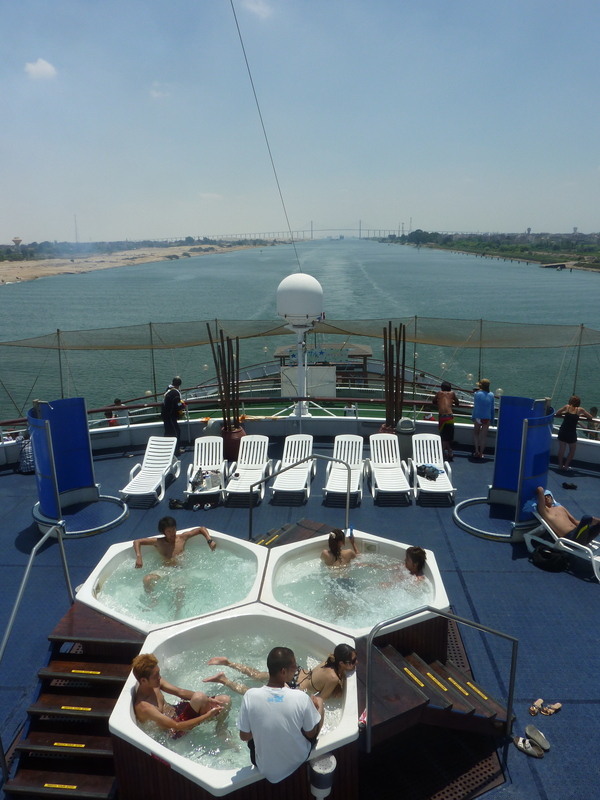 A few of the passengers and myself are sitting outside on the back deck, sunbathing in the jacuzzi. Life is good. 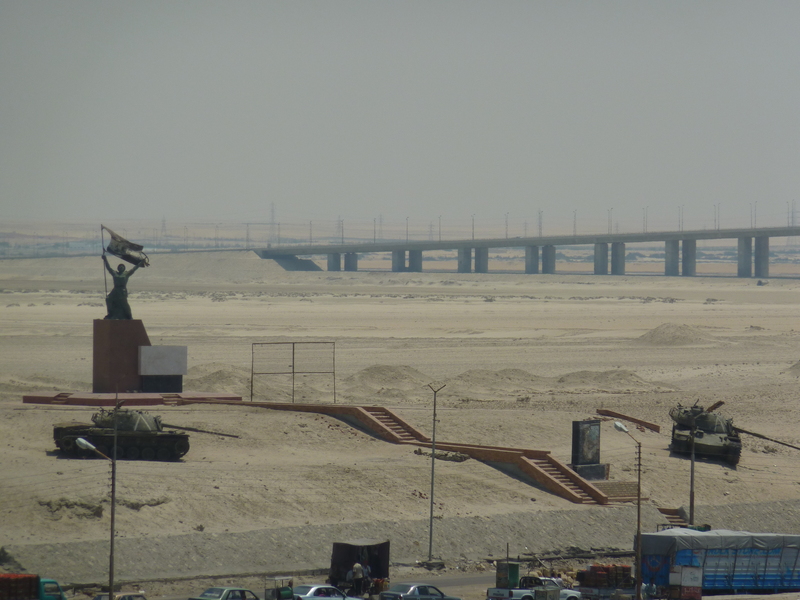 We pass under the Suez Canal Bridge that links Asia and Africa that was, until recently, known as the Mubarak Peace Bridge. The captain tells us the construction was 60% funded by the Japanese government. You can imagine the kind of conversations this prompts. The great thing is, that we can actually go inside the ship, and hear a talk, that afternoon, about the Arab Spring. In fact I attended several talks with a Libyan Guest Educator regarding the situation there. What I thought was so powerful was the connection that we felt with the world around us, and that our actions are important, and have far reaching consequences. We started to question the decisions and actions we take every day, especially regarding living in a peaceful, sustainable way. 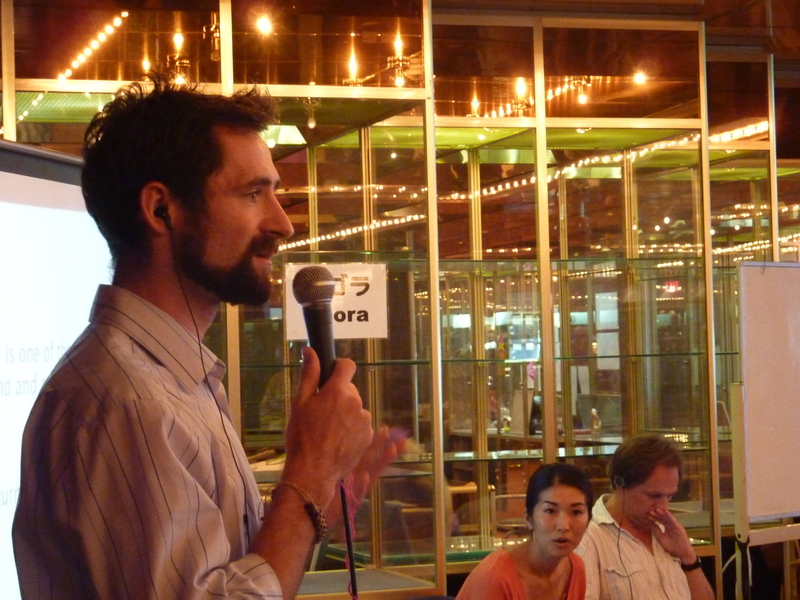 Personally, I was amazed to see the results from my “How to Get Started in Social Enterprise” lectures and workshops. To see participants, right in front of me, create the future we want, rather than settling for what is. It was a very rewarding and moving experience. I am happy to say for certain that at least two workshop participants have turned these visions into a developing reality. I’m sure it is more, and looking through a prospectus of growing, investable Japanese social enterprises with a Peace Boat colleague, it was eye opening to see that many of the founders were former Peace Boat passengers and volunteers. I’m sure the investors are too. About 70% of the passengers were over 50 years old, having the time and money to afford the journey, and often fall into the potential “social investor” category. A good 20% are under 30, and count as potential social entrepreneurs of the future. 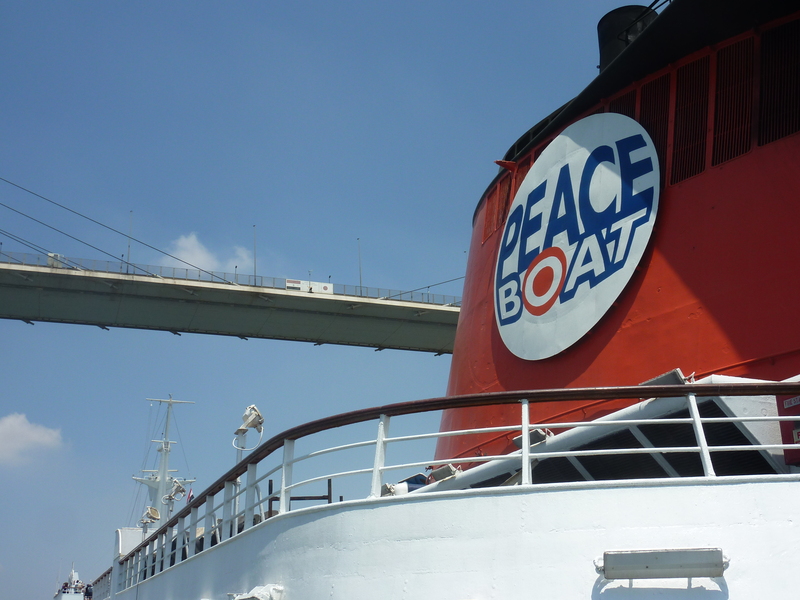 By volunteering with the Peace Boat NGO in Japan before a voyage, these younger passengers can exchange their time for generous discounts, & even join the journey completely free of charge. I really believe in the power of these learning journeys to stimulate and inspire participants to take action, whether it’s joining, starting, or supporting socially beneficial projects when they return home. These journeys give us the connections, tools, and global perspective from which to create a better world. They’re not just for MBAs and CEOs, they are for all of us, and I hope that you too have the chance to take many inspiring learning journeys, and are open to the possibility that they may in fact, change the course of your life.